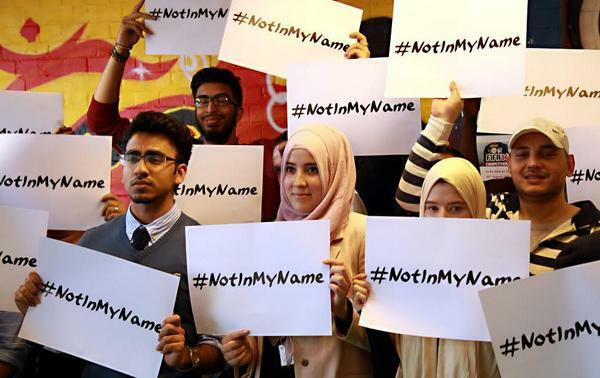 Sick and tired of how they are being represented in the mainstream, these young British Muslims have launched a #NotInMyName social media campaign. British Muslims are taking a stand against the Islamic State of Iraq and Syria (ISIS) by launching a social media campaign to deliver an important message: Hate and violence do not represent their religion. The campaign is part of an online effort to curb the damaging representation of their religion by ISIS. Another disgusting threat from the un-Islamic State #NotInMyName. We all call for Alan Henning&#39;s prompt release. Another disgusting threat from the un-Islamic State #NotInMyName. We all call for Alan Henning's prompt release. 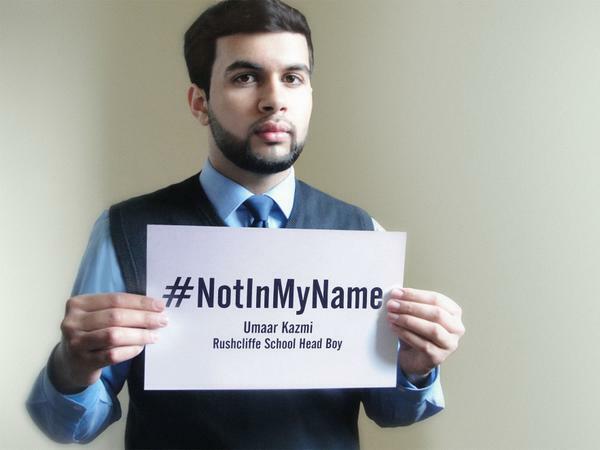 Muslim activists are sharing photos with the hashtag #NotInMyName on Twitter and Instagram to send a clear message that ISIS does not speak for them. Hanif Qadir CEO calls upon all Muslims to challenge &amp; fight ISIS. 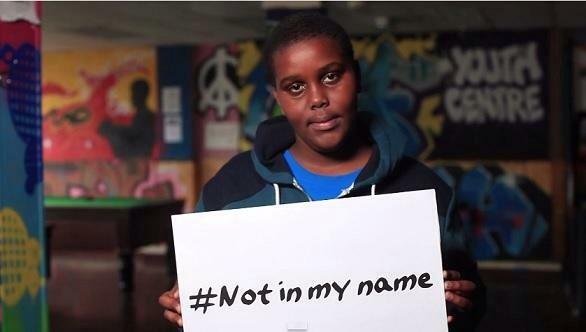 #notinmyname. All Muslims to unite against this evil group. Hanif Qadir CEO calls upon all Muslims to challenge & fight ISIS. #notinmyname. All Muslims to unite against this evil group. The British charity Active Change told BuzzFeed News that it launched the campaign after the murder of photojournalist James Foley. Zahra Qadir, a spokesperson for the charity, said: "After finding out that James Foley had been beheaded and David Haines was next, we decided enough was enough and that we must take action and take a stand to show the world they do not represent us Muslims. They will not kill in the name of Islam." Qadir said that they were tired of all Muslims being labelled as terrorists because of the groups who commit terrorist acts. "The world does not see that this is not permitted in Islam," Qadir said. "We want to tell the world that these groups are no representatives of our faith. Islam has no room for these groups, they hide behind our faith to justify the atrocious acts they commit." Qadir told BuzzFeed the next step was to help people all over the world speak out and condemn extremists. "By doing this we hope to send a message to ISIS by showing that the world stands together to stop this killing and we urge them to stop now and release Alan Henning and others who are held captive." The charity – which confronts and prevents violent extremism in all its forms – says it has been overwhelmed at the response that this campaign has received from people around the world. Qadir said: "As a Muslim, I am truly touched that the world has united together to show people what the true Islam is." One person says: "We must unite together to stop this group from damaging Islam and damaging Muslims." This is, of course, not the first time Muslims have spoken out against extremism. • The Muslim Council of Britain have condemned ISIS for their actions. • German Muslims unite to condemn ISIS. • French Muslim leaders denounce ISIS brutality. • Indonesian Muslim Leaders Condemn ISIS. • Australian Muslims set up the Facebook page 'Australian Muslim Faces' so they could "speak for themselves". I support initiatives like the UK Imams against Isis video, which featured Muslim leaders, both Sunni and Shia, coming together in condemnation, but it makes no sense to expect Muslims to apologise for crimes they played no part in. Muslims are as disgusted by them as any civilised person is. You can follow the campaign here on Twitter.